Mostly Mozart 2015 opens with rarities from the composer’s catalogue. Louis Langrée (center) leads the Mostly Mozart Festival Orchestra. Photo © 2015 by Richard Termine for the Mostly Mozart Festival. Although Wolfgang Amadeus Mozart died at 37, he left a catalogue of music that is staggering in its size and artistic breath. Mozart was five years old when he wrote his first three keyboard pieces, and 14 when his first successful opera (Mitridate) premiered. On Tuesday night, Mostly Mozart offered a look into the dark corners of Mozart’s fast catalogue, playing a program of realities rarities to open its 49th festival season. Poulenc's Dialogues of the Carmelites at Caramoor. Sisters: the cast of Dialogues of the Carmelites with Hei-Kyung Hong at the right. Photo by Gabe Palacio © 2015 Caramoor Festival. The Bel Canto at Caramoor series specializes in the opera of the early 19th century. 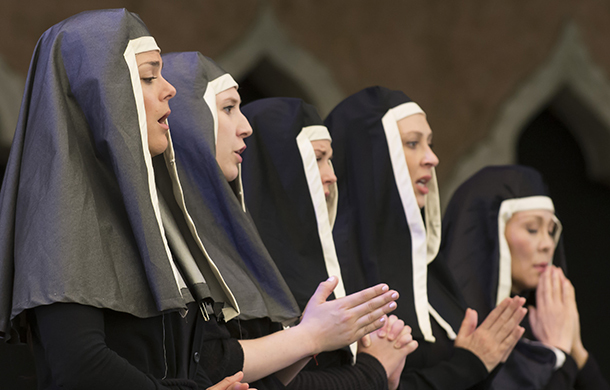 But this Saturday, music director Will Crutchfield thrust this annual summer opera festival squarely into the 20th century with the first Caramoor performance of François Poulenc's powerful 1957 opera Dialogues of the Carmelites. This semi-staged performance, directed by Victoria Crutchfield featured a strong cast of veteran singers mixed with raw but very promising talent. Ethyl Smyth's The Wreckers rises from the vasty deep. in rehearsal for Dame Ethel Smyth’s The Wreckers. Photo by Stephanie Berger © 2015 Bard SummerScape. 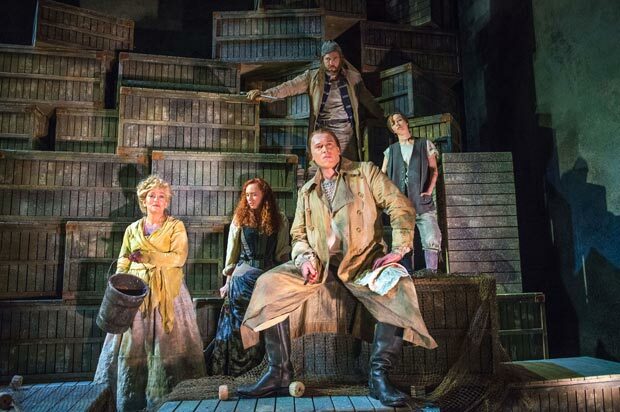 Each summer, it is the business of the Bard SummerScape Festival to present an opera that for whatever reason has fallen far from the fringes of the standard repertory. On Friday night, artistic director and Bard College president) Leon Botstein led the first fully staged performance of The Wreckers the 1907 opera by Dame Ethyl Smyth. (The work was first performed in the U.S. by the American Symphony Orchestra under Dr. Botstein at Carnegie Hall in 2007.) This was the first of five scheduled performances this month at the Fisher Center, the Frank Gehry-designed concert hall on the Bard campus that is SummerScape's headquarters. Bel Canto at Caramoor mounts La Favorite. Clémentine Margaine (center) and Santiago Ballerini in La Favorite. Photo by Gabe Palacio for the Caramoor Festival. Sometimes it takes an exceptional revival to bring an opera back from the grave. 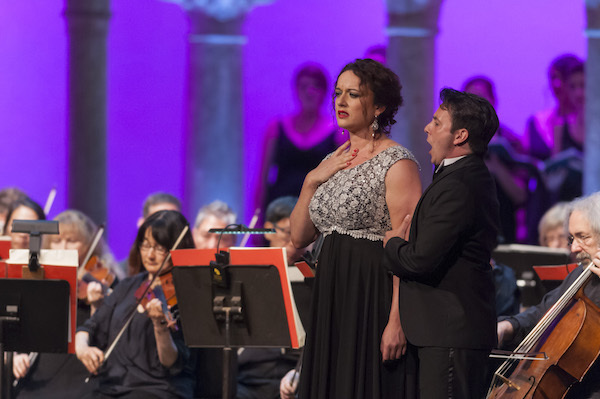 That's what happened Saturday night when the annual Bel Canto at Caramoor series turned its attention to Donizetti's La Favorite, a show that held the stage in Paris from its premiere in 1840 until 1894. This performance, held on July 11 featured the Orchestra of St. Luke's under the baton of Will Crutchfield. For the performance of this difficult work, Mr. Crutchfield assembled a slew of strong young singers execute the original French version of this opera with style and flair. Lincoln Center presents Harry Partch's Delusion of the Fury. The Ensemble Musikfabrik stages Delusion of the Fury. Photo by Klaus Rudolph courtesy Lincoln Center Festival. Every summer, the Lincoln Center Festival can always be counted on for at least one "maverick" performance, something that falls outside the mainstream and proves to be artistically important. 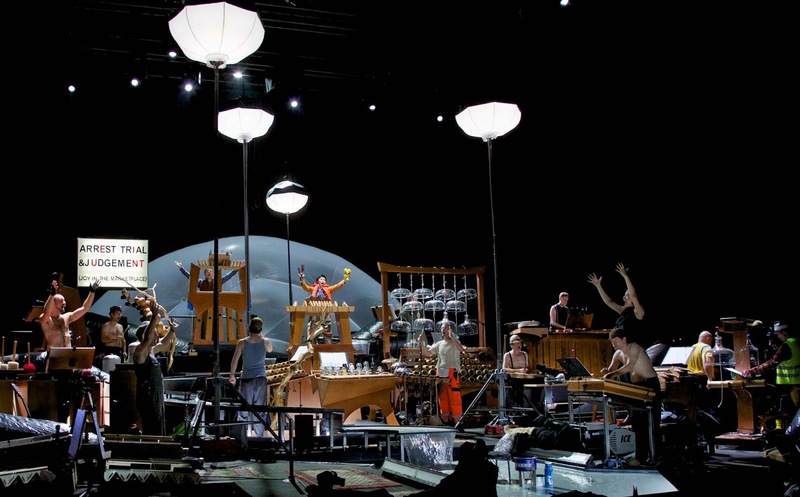 This year's offering Delusion of the Fury is a 100-minute stage play/opera by maverick American composer Harry Partch, mounted by the Germany-based Ensemble Musikfabrik on the stage at City Center. This was a touring version of the production premiered by the Ensemble at the Ruhrentrienialle in 2013. Birgit Nilsson and Franco Corelli in Turandot. 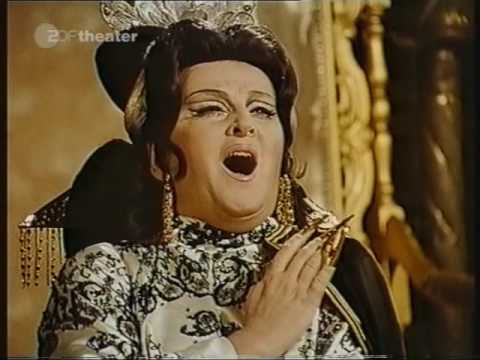 I was working on this year's edition of the Metropolitan Opera Preview and came across an example of Birgit Nilsson and Franco Corelli squaring off in Act II of the Puccini opera Turandot. This aria and following duet is some of the most punishing music in the Italian repertory but La Nilsson makes it look effortless. Clips are after the break. Lincoln Center's longest-running festival event returns for its 49th season. 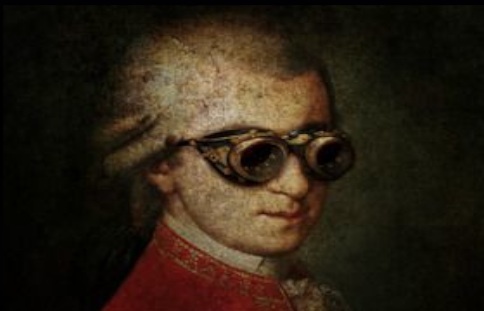 This year's Mostly Mozart Festival features optically enhanced Mozart. Either that or he's trying to look cool. Before there was the Lincoln Center Festival, Midsummer Night's Swing or Lincoln Center Out of Doors, there was Mostly Mozart. This venerable celebration of all things classical, medium-sized and small returns to the Upper West Side for a month starting in the last week of July and continuing through the first three weeks of August. This year's schedule includes the New York premiere of George Benjamin's opera Written on Skin and appearances from piano luminaries like Pierre Laurent-Aimard, Jeremy Denk and Emanuel Ax, baritone Matthias Goerne and cellist Sol Gabetta in her Festival debut. Marc-André Hamelin at Hunter College. 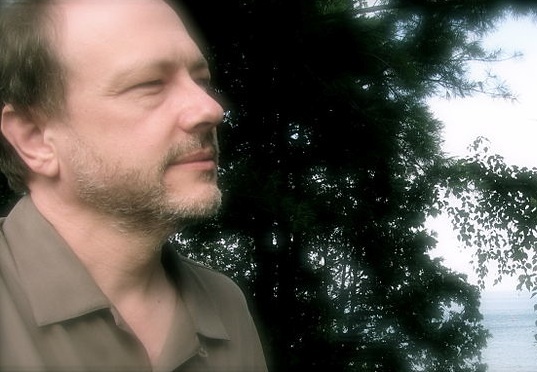 Marc-André Hamelin gets in touch with nature. Any recital by Marc-André Hamelin, the extraordinary Canadian pianist and composer is a cause for celebration for piano lovers, drawn to his combination of sober musicianship and always-impressive technical skil. This Sunday, Mr. Hamelin appeared at the International Keyboard Institute and Festival, playing a challenging program of Liszt and Chopin along with Toward the Center, a large-scale modern composition by Yehudi Wyner, a contemporary American composer who has taught at Harvard, Yale and Brandeis. Beethoven and Strauss at the Lincoln Center Festival. 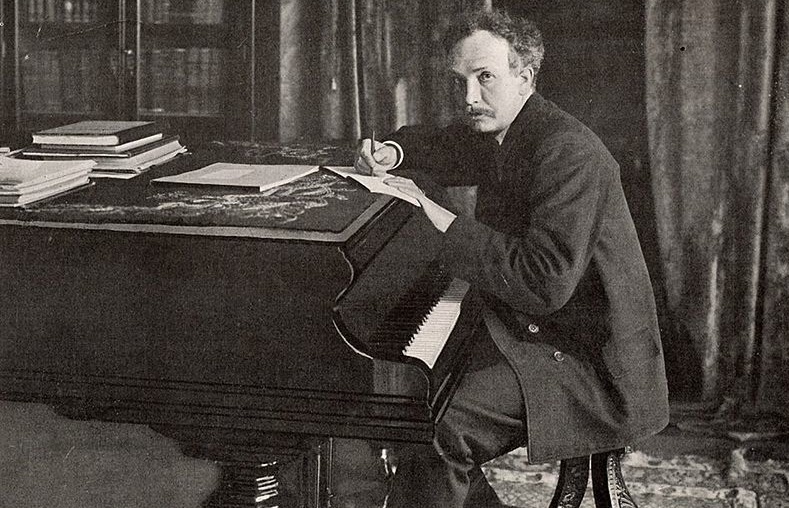 Dr. Richard Strauss at the piano in 1903. The concept of the "program symphony," where multiple movements tell some kind of coherent story or evoke a time and place originated with Ludwig van Beethoven and the Symphony No. 6, known as the Pastorale. On Friday night, the Cleveland Orchestra played the third of four concerts this week at the Lincoln Center Festival. Music director Franz Welser-Möst paired the Pastorale with the Symphonia Domestica, a stellar example of the genre written a century later by Richard Strauss. The Cleveland Orchestra plays Messiaen and Dvořák. Franz Welser-Möst conducting the Cleveland Orchestra. Photo by Stephanie Berger © 2015 Lincoln Center Festival. At first glance, there is no existing connection between the music of French twentieth century mystic Olivier Messiaen and the nineteenth century Bohemian rhapsodies of Antonín Dvořák. But, as was so ably demonstrated Thursday night by the Cleveland Orchestra under the baton of music director Franz Welser-Möst, the music of these two very different men has a number of common points. 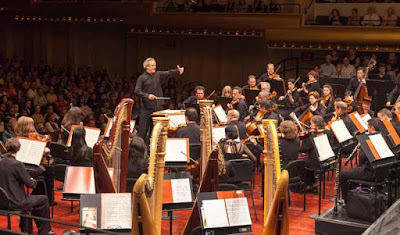 The Cleveland Orchestra brings Daphne to Lincoln Center Festival. Franz Welser-Möst (right) conducts Regíne Hangler and Andreas Schager (left) in a scene from Daphne. 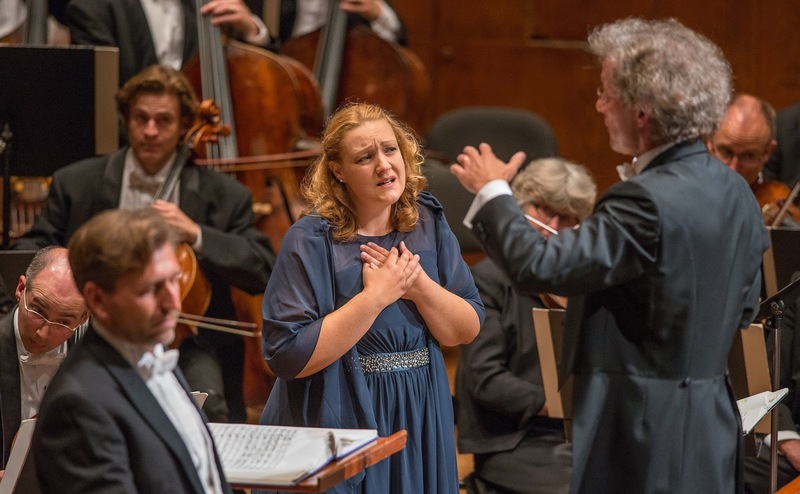 In bringing the Cleveland Orchestra to play Daphne at the Lincoln Center Festival, conductor Franz Welser-Möst has declared his intention to one day restore this potent and moving Richard Strauss opera to the repertory. On Wednesday night, Mr. Welser-Möst may well have succeeded in getting the opera back on the radar of New Yorkers who may know Rosenkavalier and Salome but have ignored not to delve into the considerable riches of the later Strauss catalogue. In this performance Daphne proved to be an engrossing, enchanting 100-minute opera, a feast for the ears and an unheralded example of this composer's fertile late style. We celebrate the memory of the great Canadian tenor. Jon Vickers as Aeneas in a scene from Les Troyens. 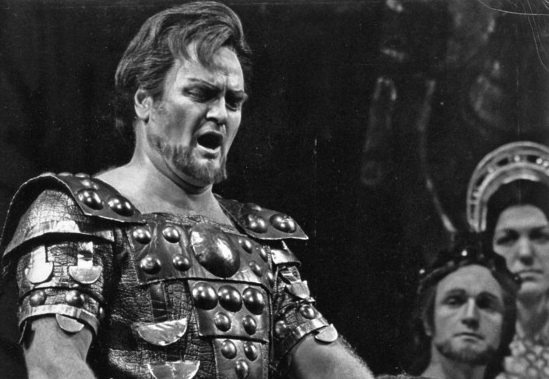 The Canadian tenor Jon Vickers passed away this weekend. One of the greatest heroic singers of the 20th century, Mr. Vickers was a tenor of exceptional power and vocal strength with a memorable stage presence. Over four decades, he made many memorable recordings including the first complete studio performance of Berlioz' Les Troyens with Sir Colin Davis. He sang many of the major heroic Wagner roles, although he eschewed the difficult part of Tannhäuser, famously citing his strong Christian beliefs. Here are five of his legendary complete opera performances from the Superconductor archives. Danny Elfman opens the Lincoln Center Festival. 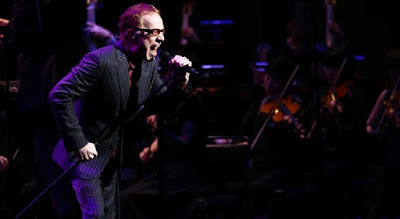 Danny Elfman in full flight. The gulf between "serious" composers and those who write music for Hollywood films is an unfortunate and artificial one, enforced by a music community that refuses to consider the film score as a legitimate means of creative expression. This summer, the Lincoln Center Festival seeks to breach that gap with Danny Elfman: Music from the Films of Tim Burton, a career-spanning retrospective concert program that chronicles a creative partnership that has lasted for fifteen films and thirty years. 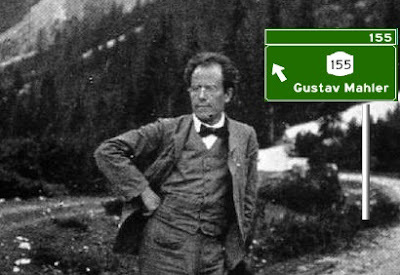 Gustav Mahler, out for a walk. July 7 marked the 155th birthday of composer, conductor and former Metropolitan Opera and New York Philharmonic music director Gustav Mahler. A controversial figure in his lifetime, Mahler is now revered as the father of the 20th century symphonist, a forward thinker whose death at the age of 50 robbed the world of his own unique, driven genius. In celebration of his birth here are my favorite recordings of each of the ten Mahler symphonies plus Das Lied von der Erde, a symphony in all but name. The Gryphon Trio launches new music toda. The Gryphon Trio in repose. Today at 7pm is the Live Webcast launch of the Gryphon Trio's new album Elements Eternal, hosted by our friends at Naxos of America. This is the ensemble's 17th album and their fourth dedicated exclusively to new compositions by contemporary Canadian composers. 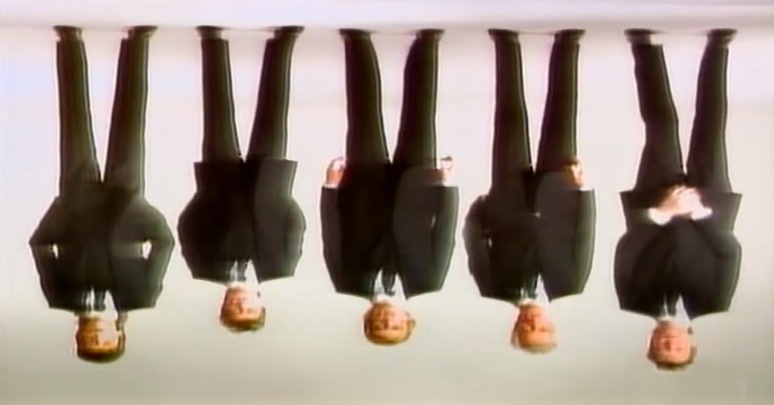 Is Yes' 90125 a "concept album"? Yes, circa 1983 in the video for "Leave It" from the album 90125. L-R: Trevor Rabin, Jon Anderson, Alan White, Tony Kaye, Chris Squire. Image © 1983 Atlantic/Atco Records. The international community of Yes fans is mourning the passing of bassist and band founder Chris Squire, who succumbed to leukemia at his Arizona home on June 28. In the wake of his passing, the home stereo at Superconductor's Brooklyn headquarters has been playing a lot of Yes, from the airy harmonies of Close to the Edge to the wild experimentation of Tales from Topographic Oceans. Today, the record was the band's 1981 comeback album 90125. This prompted the question: is 90125 a concept album that tells a specific story?